Charles Stotler is Associate Director of the LL.M. Program in Air and Space Law. He teaches courses on air and space law, serves as faculty advisor to students participating in the Manfred Lachs Space Law Moot Court Competition and advises students on LL.M. theses. His research focusses on the effects of the fragmentation of international law on aerospace governance and on rule of law for outer space activities. Mr. Stotler also advises a broad array of clients on law, policy and regulatory issues, both independently as well as in support of the work of Aviation Advocacy, a Swiss-based consultancy. He focusses on activities and technologies that push policy and regulatory boundaries, such as novel uses of unmanned aircraft systems and space applications. Prior to joining the faculty at Ole Miss, Mr. Stotler worked for the LA City Attorneys Office, representing Los Angeles World Airports. He interned with Aerospace Industries Association, the UN Counter-Terrorism Executive Director and UN Office for Outer Space Affairs. He was a Program Officer and Mirzayan Science and Technology Policy Graduate Fellow with the U.S. National Academies’ Committee on Science, Technology and Law, where he worked on space policy issues. He also served as the Co-chair American Society of International Law’s Space Law Interest Group. Mr. Stotler holds a Master of Laws in Air and Space Law from McGill University, a Juris Doctor from Loyola University New Orleans College of Law, a Masters in Liberal Arts from St. John’s College and a Bachelor of Sciences in Biology from Mount Saint Mary’s University. He was called to the bar in California in 2010 and New York in 2011. 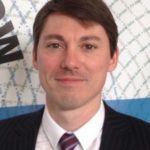 He is author of a growing collection of popular and peer reviewed publications and was a contributing researcher for the 2015 Space Security Index and a contributing author to McGill’s Global Space Governance Study.